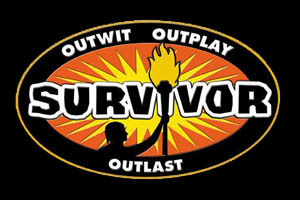 Survivor is known as the show that started the reality television phenomenon. The show centers around a group of people that have been stranded on a desert island and are left to fend for themselves by building their own shelter and catching their own food. Every few days, they compete in challenges for rewards and, more important, immunity from leaving the game. The team who loses the Immunity Challenge is forced to go to tribal council where the tribe has to vote one of its members off the island. During the midpoint of the game, which lasts 39 days, the two tribes merge into one. The final nine members of that single tribe form a jury, seven of which vote who they want of the remaining two tribe members to win the game. Premiering in the summer of 2000 with very little fanfare, the show started to attract critical acclaim and attention, culminating in a season finale that garnered 50 million viewers, the highest ever for a reality television show. As a result, season two of the show was highly hyped, and debuted directly after the Super Bowl with 45 million viewers, eventually going on to become the most-watched series of the 2001 season. Although season two was as highly watched as the first season, ratings died down starting with the third. Although ratings have decreased, the show still attracts anywhere between 10 and 15 million viewers every week and is a mainstay for CBS, normally ranking in the Top 20 in ratings for the year. For information on the Survivor and Expedition Robinson franchise, please refer to the Survivor franchise page. For a specific season, go to the season article. To see a list of contestants who have appeared in more than one season, click here. Contestants: A listing of all the contestants who have played the game of Survivor. This page was last modified on 21 April 2019, at 02:37. This page has been accessed 49,600 times.